John Hardy's Classic Chain collection presents this fabulous 7.45 chain necklace. 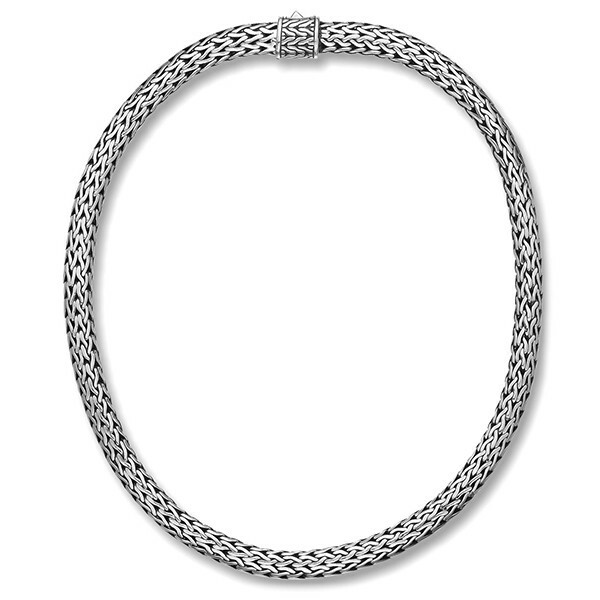 Each sterling silver link is meticulously handcrafted and handwoven to create this chain. The clasp is hand carved with the classic chain motif, so the piece is eloquently streamlined. This necklace can be worn alone or add a John Hardy enhancer to alter your style!